On 27 February cardinal Berhan Yesus D. Surafel visited our vicariate. Recently the government of Ethiopia has nominated him president of the peace and justice committee. The intention of his visit was to enquire about the situations in our region, as we have had and often have conflicts between two ethnic groups: Oromo and Gumoos. A couple of months ago many were killed, others have migrated from their villages and were kept as refugees in our area. The Catholic church joined hands with the religious institutions and NGO in taking care of these refugees. Universities and schools are closed whenever a conflict arises. In the town of Kamaashi even the priest was sent away and the church and his residence were looted. The first visit of the cardinal was to our community and we have welcomed him joyfully. He addressed to us the following greeting «May the peace of Christ be with you». He appreciated our educational ministry, rendered to more than 2100 students of different ethnic groups. Then he met the students in their classrooms, listened to them and gave them some advice. 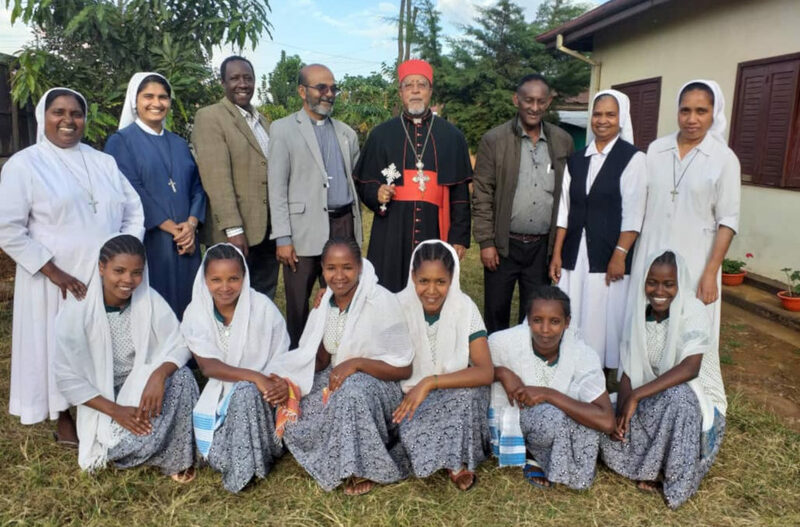 During the week he visited the parishes and the close by religious communities; he also inaugurated the church at Gaarii encouraging the Catholics to be strong in their faith. His presence was indeed a sign of peace, harmony and brotherhood.